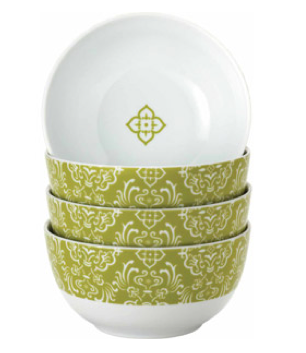 Rachael Ray Set of 4 Cereal Bowls Only $9 + FREE Store Pick Up (Reg. $19.96)! You are here: Home / Great Deals / Rachael Ray Set of 4 Cereal Bowls Only $9 + FREE Store Pick Up (Reg. $19.96)! Here’s another HOT deal for all you Rachael Ray fans! Right now, you can get this Rachael Ray Set of 4 Cereal Bowls on CLEARANCE for only $9 + FREE Store Pick Up (Reg. $19.96)! These chic bowls are durable and made to stand up to everyday use for enjoying cold cereal or hot oatmeal, and also ideal for serving soup, small side salads and ice cream sundaes. They’re sure to add aesthetic beauty to your home and complement many tastes and decors!